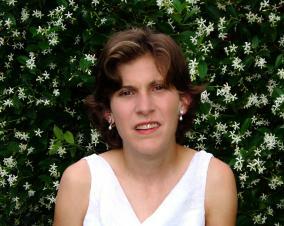 Kate Matthiesen was born with a profound language-based learning disability. She speaks and writes with difficulty. Since discovering her ability to communicate through art in 2004, it has become a driving force in her life and her lifelong passion. When she first saw Cy Twombly’s work at the Menil Collection (Houston, TX) she said “Look, he talks like me.” Through the language of art, Kate expresses her views and succeeds on her own terms, connecting to a larger community. Art has been a transformative experience through which she has expanded both her world and her worldview. Kate’s artmaking is totally intuitive and she explores the variety of influences impacting her daily. Among her choices of media are acrylics, oil pastels and photography. Subject matter is reflected through her choice of images seen through the lens, her use of color and light, her application of texture to paper or canvas. She often incorporates words and phrases into her artwork; at times it is a feeling – other times the name of a friend, a “to do” list, a beloved pet. She fully expresses who she is and what is happening in her life in each work that she creates. As an emerging artist, her work has been well received in numerous venues. Kate’s solo exhibition at The Jung Center, Houston, Texas in 2006 broke all attendance records at that time. She has participated in numerous exhibition opportunities, including an invitation to show her work in the Houston City Hall Annex and Tunnel Gallery as well as to participate in a two-person exhibition in One Allen Center, Houston, Texas. She has received several awards for her work, and it is in numerous private and corporate collections. Matthiesen makes her home in Houston, Texas and spends her summers in a small artist colony in Portland, Oregon.